Springs are mechanisms that have the capacity to absorb, store and release energy through a change in shape. 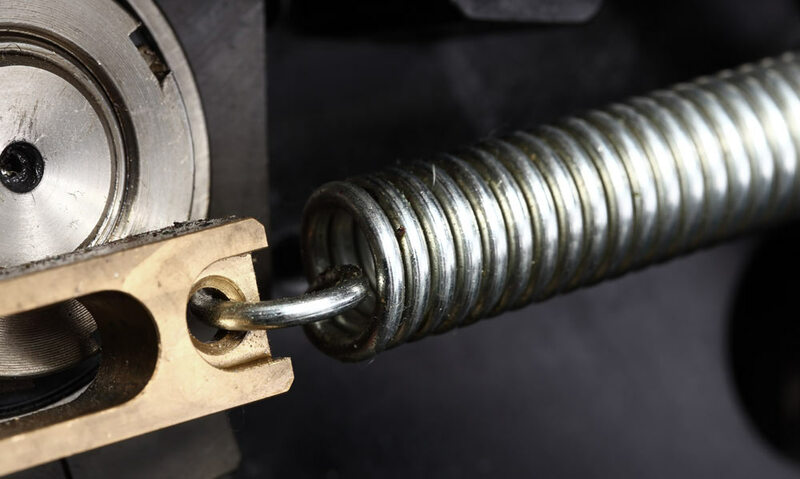 The most common use for a spring is to return a mechanism to its starting position and/or to add cushioning. Examples of applications that use springs include firearms (triggers), mouse traps, trampolines and car suspensions. The amount of energy generated by the change in shape is governed by Hooke’s Law (within the elastic limitations of the material). In the cases of compression and extension springs, the coils are compressed or extended linearly which creates a force that opposes that motion. Once the load is released from the spring it will oscillate linearly back and forth about its “relaxed” position. However, it will not oscillate forever as frictional forces cause a loss of kinetic energy, eventually causing the spring cease motion. 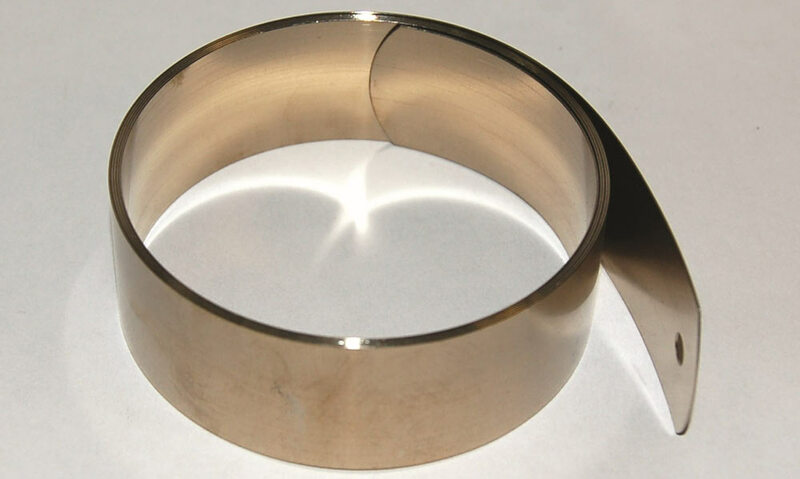 Torsion springs act differently than compression or extension springs. The coils of torsion spring appear to be fully compressed with straight ends of the coil sticking out on either side. When one end of the torsion spring is fixed and the other rotated, the coil begins to deform which creates a force opposing that rotation. These springs still obey Hooke’s law; however, the variable x is replaced with ϴ which represents the angle of twist from the equilibrium position (in radians). 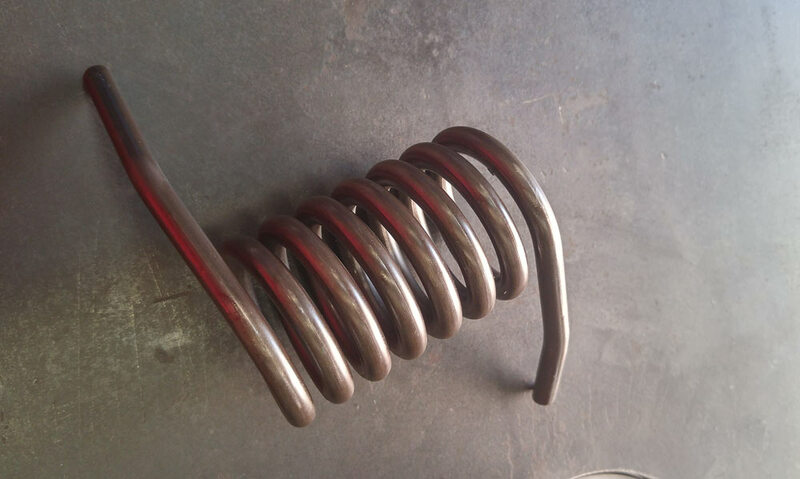 There is one type of spring that does not obey Hooke’s law: constant force springs. As the name dictates, these mechanisms deliver a near constant force. Constant force springs are thin, rolled sheets of metal with a drum or shaft in the center. The drum or shaft serves to keep the geometry of the coil nearly constant resulting in a nearly constant force since the majority of the force opposing motion is stored in the coil.